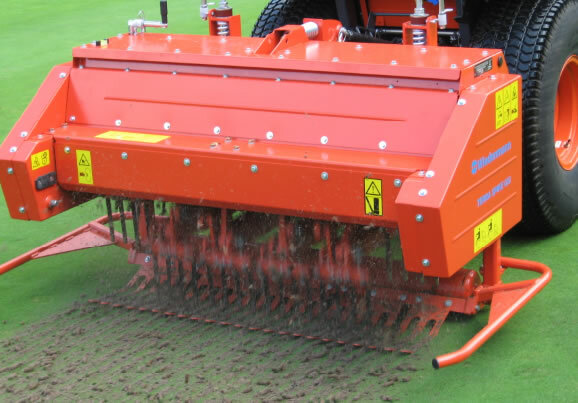 For deep aeration and removal of compactions up to 25cm depth. The TERRA SPIKE GXi series was specifically developed for use on golf greens, tees, sandy sports fields and all fine areas. The Terra Spike GXi includes PTO shaft, linkage pins, a parking stand system, safety guards and first set of 12mm diamter tines. If you are interested in our TERRA SPIKE GXi 6 / GXi 8 HD use the quick enquiry form below.